An adorably cute kitten is looking for a new home after being rescued from danger on a busy Texas highway. 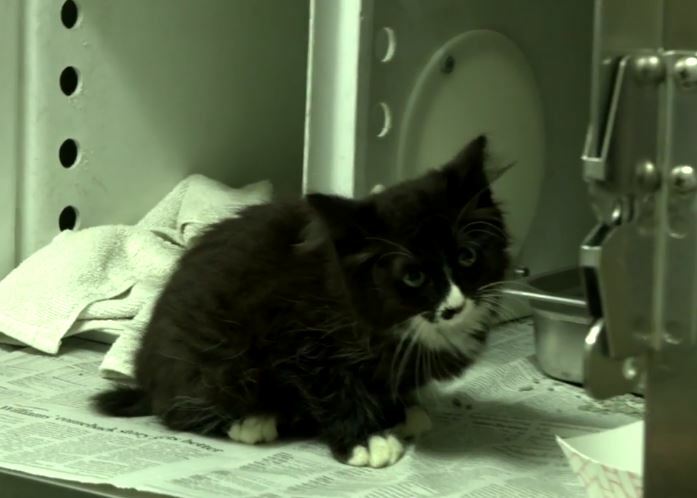 Irving Animal Services from the City of Irving, Texas rescued a kitten who was stuck on a highway divider on State Highway 183 — and it was caught on camera. 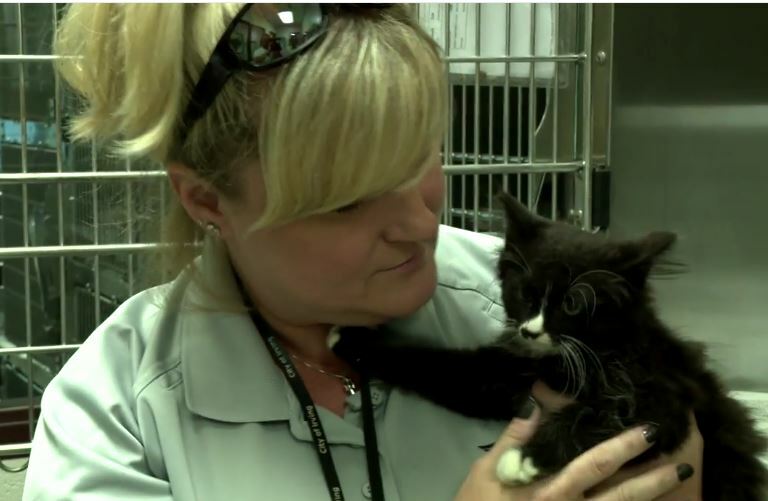 Animal Services Officer Tina Shanahan took the call from someone reporting they thought they’d seen a cat on the highway, and Officer Laura Holmes responded to the scene. The animal officer had police backup for the sake of safety and traffic control. The cruiser captured footage of the rescue. Officer Holmes drove past the spot a couple of times without seeing a cat, then pulled over and searched with her binoculars. At that point she spotted the black and white kitten, who was on the retaining wall. Highway 183 is the busiest road in the city, and Holmes was concerned that things would not end well for the kitten, but she managed to grab him by the scruff of the neck and keep her grip on his as he tried to get away. Freeway is getting attention from Animal Services staff to help him get over the incident and to become socialized. At the time of this posting, he is available for adoption at the Irving Animal Care Campus. Seriously, that is one cute kitten! Yay for the folks who saved him!